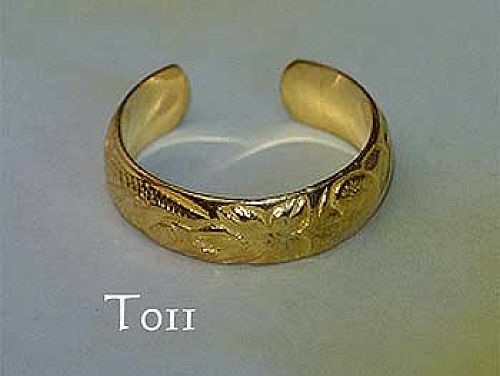 Sterling silver with 14 carat gold fill Hawaiian toe ring. Features Hawaiian Plumeria (frangipani) flower and heirloom scrolling hand carved design. Measurements: 5mm wide. One size fits all.